At Waterford Place Apartments, it feels like your own private getaway, even on the weekdays. Resort-style amenities enrich your day-to-day experience and enhance your sense of well-being. 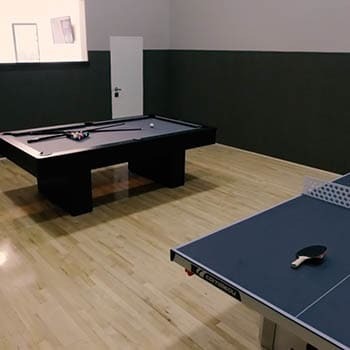 There’s no waiting for a machine in our well-equipped fitness center or enjoy billiards or table tennis in our game room. The Valley of the Sun feels like paradise from the deck around our sparkling pool and spa. Of course, sometimes you’ve got to take care of business. With on-site computers, fax, copy machine, and high-speed Internet access, our business center is the place to get it done. For your convenience, the team at the office is happy to accept package deliveries in your name. Waterford Place offers all residents access to the Parcel Pending package delivery service onsite. When enrolled in the service, your packages will be delivered to your secure storage locker with access codes and updates delivered directly to you by text or email. Take advantage of resort-style amenities in Mesa, AZ. Contact the leasing office at Waterford Place Apartments for a tour.